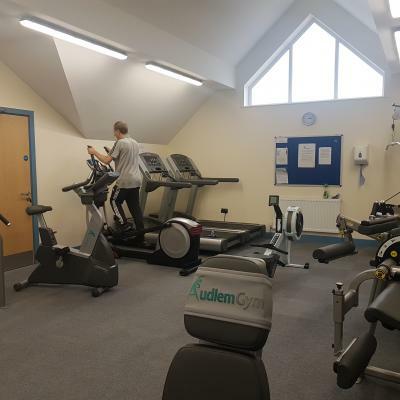 Audlem Community Gym is a non-profit making venture, run entirely by unpaid volunteers (except for some professional instructors whose services are temporarily hired for induction sessions). Any excess funds generated are ploughed back into the Gym itself and the Public Hall. 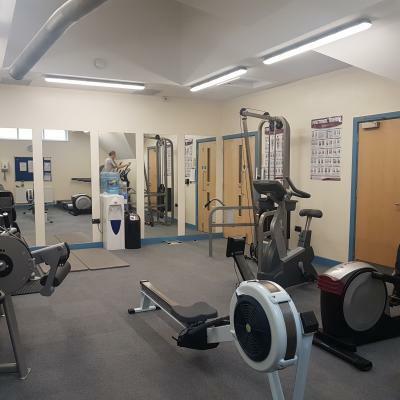 The gym is on the first floor of the Annexe, and there are changing rooms and showers also available on that floor. There is a range of cardio-vascular machines; two treadmills, an upright cycle, cross trainer and rowing machine. For strength work there are machines to exercise all main muscle groups, together with dumbbells and a bench. Membership costs £14 a month, or £12 if you pay by monthly standing order. If you want to pay for a whole year's membership in advance, this is available at a discounted rate of £125. Reduced rates are available for those in full time education. Simply complete the application form (this can be downloaded using the link below the picture), and send it to Ben Clark at 3 Chapel Close, or drop it off at Williams newsagents. We will get in touch with you to arrange an induction session. This will take about an hour, and will give you the opportunity to familiarise yourself with the equipment. During the session we will go through the membership process, and issue you with your access fob and membership card. You will then be able to use the gym at any time from 6.00 am to 9.00 pm. 7 days a week. Our policy about GDPR is explained in the document downloaded by the second link below the photo.